作者简介:HU Weihong (1979-), born in Shannxi. He received his Ph.D. degree at University of California, Irvine. Currently he is with China Academy of Information and Communica-tion Technology (CAICT). His research in-terests include the design and optimization of network protocols, the application and secu-rity of blockchain technology.|AO Meng (1982-), Daur nationality, born in Inner Mongolia. He received his Ph.D. degree at Institute of Automation, Chinese Academy of Sciences in pattern recognition and artificial intelligence in 2009. His research interests include artificial intelligence and blockchain technology.|SHI Lin (1988-), born in Shandong. He is an engineer at CAICT with years of experience in information security. Cur-rently, he is the lead of trusted cloud secu-rity certification at institute of technology and standards research.|XIE Jiagui (1984-), born in Shan-dong. He received his Master degree at Institute of Automation, Chinese Academy of Sciences. Currently he is the CTO of Beijing Teleinfo Network Technology Co., Ltd., and his research interests involve DNS and intelligent information system.|LIU Yang (1986-), born in Gansu, PhD. He is a senior engineer at CAICT and the leader of the ID Working Group of AII (Alliance of Industrial Internet). His re-search focuses on industrial Internet, iden-tification service and DNS. DNS Protocol was originally designed with no security protection in place. Subsequent DNSSEC added a layer of trust on top of DNS by providing authentication, but it still did not address issues such as DoS/DDoS attacks and deployment difficulties. Blockchain technology offers an innovative perspective to tackle those challenges. 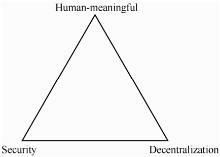 By reviewing and analyzing two prevail blockchain-based DNS alternatives (Namecoin and Blockstack), it is concluded that although blockchain presently have problems that have to be solved, it is a promising approach to build decentralized, secure and human-friendly naming systems. HU Wei-hong,AO Meng,SHI Lin,XIE Jia-gui,LIU Yang. Review of blockchain-based DNS alternatives[J]. 网络与信息安全学报, 2017, 3(3): 71-77. Dyn Statement on 10/21/2016 DDoS attack[EB/OL]. .
 DINGLEDINE R , MATHEWSON N , SYVERSON P . Tor:the second- generation onion router[J]. Journal of the Franklin Institute, 2004,239(2): 135-139. NAKAMOTO S . Bitcoin:a peer-to-peer electronic cash system[J]. Consulted, 2009. ATKINS D , AUSTEIN R . RFC3833:Threat Analysis of the Domain Name System(DNS)[J]. Internet Engineering Task Force, 2004,5(1): 108-117. WILCOX-O'HEARN Z . 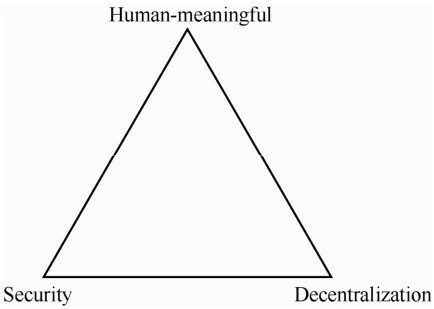 Names:decentralized,secure,humanmeaningful:choose two[EB/OL]. .
 ALI M , NELSON J , SHEA R ,et al. Block stack:a global naming and storage system secured by block chains[C]// 2016 USENIX Annual Technical Conference(USENIX ATC 16). 2016: 181-194. IPFS(the InterPlanetary File System)[EB/OL]. .
 IRVINE D ,et al. MAIDSAFE.NET:US,EP2118808[P]. 2009. 金渝筌,谢彬,朱毅. 基于通信相似度的僵尸网络节点检测方法[J]. 网络与信息安全学报, 2018, 4(10): 31-38. 延志伟,耿光刚,李洪涛,李晓东. DNS根服务体系的发展研究[J]. 网络与信息安全学报, 2017, 3(3): 1-12. 胡宁,邓文平,姚苏. 互联网DNS安全研究现状与挑战[J]. 网络与信息安全学报, 2017, 3(3): 13-21. 王翠翠,延志伟,耿光刚. 互联网名址体系安全保障技术及其应用分析[J]. 网络与信息安全学报, 2017, 3(3): 34-42. 牛德华，马建峰，马卓，李辰楠，王蕾. 基于属性的安全增强云存储访问控制方案[J]. 通信学报, 2013, 34(Z1): 37 -284 . 欧智慧,赵亚群. 一类对称布尔函数的研究[J]. 通信学报, 2013, 34(1): 10 -95 . 彭俊宇,蔡孙增,朱正航,徐景,周婷. 基于MIMO-OFDM的高频段Gbit/s通信系统设计和实现[J]. 电信科学, 2014, 30(6): 95 -101 . 乐 俊,张维明,肖卫东,汤大权,唐九阳. 无结构动态适应无线传感器网络数据融合算法[J]. 通信学报, 2012, 33(9): 8 -65 . 淦明，李辉，戴旭初. 基于协作中继的多元网络乘积码[J]. 通信学报, 2013, 34(6): 13 -113 . 张士兵,张力军,徐晨. 多带OFDM-UWB系统的抗干扰研究[J]. 通信学报, 2006, 27(5): 13 -83 . 李 丽，邱天爽. 宽带双基地MIMO雷达的参数联合估计的新方法[J]. 通信学报, 2014, 35(6): 25 -199 . 马欣,邓伟,姜大洁,黄宇红. TD-LTE多天线技术增强型设计方案研究[J]. 电信科学, 2010, 26(4): 90 -96 .